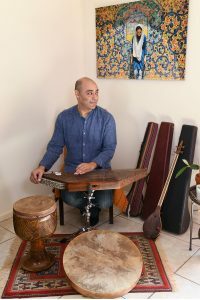 HistoryMiami Museum hosts “Drumming Workshop: From Iran to the World.” Join the museum’s multicultural drum circle and play percussion instruments from around the world with Iranian master percussionist Reza Filsoofi. During this workshop, you’ll learn to play a variety of Iranian percussive rhythms. 3:30 p.m. 101 W Flagler St., Miami. Details: https://bit.ly/2KojheU.